People would ask: Why eyelashes are attractive? Lashes that are longer create the illusion of wider and bigger eyes, a sign of femininity. Also it is wide known that eyelashes are not just a mark of beauty, but also protection for the eyes and it is important that we take care of them in the proper ways. Most people use the olive and its oil in cooking different dishes. It is rich in vitamin E and oleic acid which makes the oil a great nourisher that adds volume and darkness to the eyelash. To get the best result I’d choose the best quality. Personally, I’d prefer the ZOE Olive oil because of the scent and that it is is known all around the globe just for this very reason, the care for eyelashes. 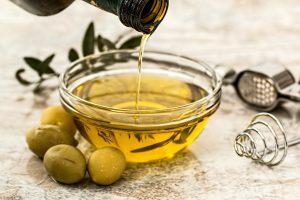 How to use the Olive oil? Best to use mascara wands or cotton buds as applicators so you can treat your lashes. Here are some bottles that I consider very useful for pouring the oil in them. What you have to do is to warm a small amount of the oil slightly and dip the applicator into the bottles and apply like mascara. Do this procedure before you go to bed and stay with it overnight, then rinse it with warm water in the morning. To see a result you must make this into a daily routine. Castor oil is a vegetable oil that is drawn from the castor bean seed. Like all other oils, it is a brilliant stimulant that can nourish and trigger hair growth. Interesting fact is that it the ancient Egyptians used it. They say Cleopatra used it for brightening the whites of her eyes, but we aren’t as reckless, right? It is powerful follicle-stimulating, antibacterial, anti-inflammatory and nourishing oil that can help you have longer, stronger, thicker and darker lashes and it will fight the Demodex mites infestation, that cause eyelash loss. How to use the Castor oil? Choose natural or organic castor oil or make sure to use a natural and hexane-free brand of castor oil like this one. It is really important that you wash off your makeup and other products really good and pat dry before using it. Then, use the recommended mascara wands or cotton buds to lightly apply the castor oil from the roots of the eyelashes to their ends. You only need a drop or two to cover the lashes for each eye and use with precision. Apply a very thin layer on the lash line in the evening and leave overnight to encourage their natural growth. Make this an everyday routine for best results. You can also do this whenever you find some leisure during the day. However, make sure that you get some rest and close your eyes at least for an hour after applying castor oil. Initially, you may find that toxins (accumulated dust and debris) are excreted from the eyes. If you experience it, don’t panic. It is good for your eyes; castor oil removes all the toxins. In a few days, you will notice your eyes sparkle and you also feel a cool sensation. Remember, based on the eyelash growth cycle only, you will notice the growth of long and thick lashes. Vitamin E- The ultimate beauty oil! Everyone knows that Vitamins are always the top-notch things to keep your body in shape. 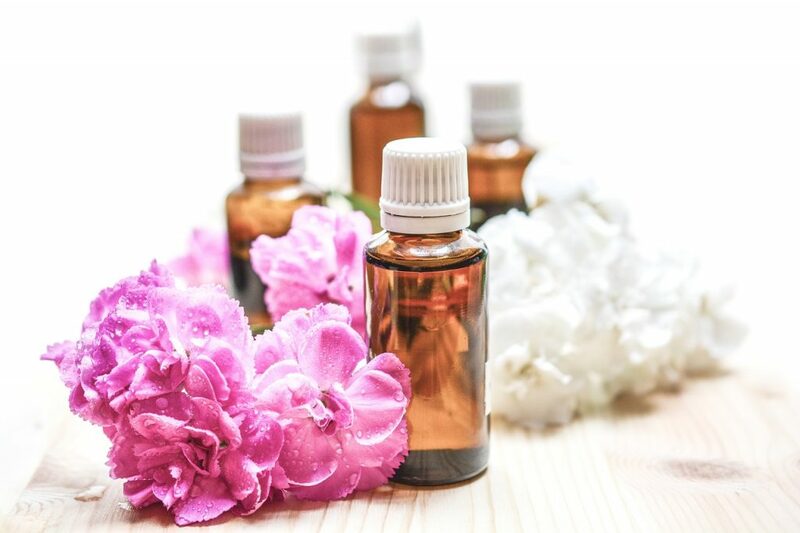 Vitamin E or d-Alpha Tocopheryl Acetate is less viscous than Castor Oil, if not superior in treating the body better. It is good for curing blemishes on your skin, hair and it will help out with lashes to grow thicker too. 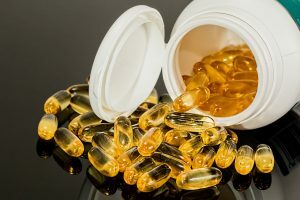 Pure gel or capsules of vitamin E will also improve blood circulation to the hair follicles. How to use the Vitamin E? To use this simple home remedy just break open a couple of vitamin E capsules and apply it to your lashes with a brush. Another way is to get a gel and add a few drops of it on soft bristles, on a cotton applicator or dipstick and brush using outward motions to nourish them and thicken them up. Apply preferably at bedtime and of course, do it on regular basis every day for best results. Time to steam up the Green Tea! Green tea is known for its antioxidant and anti-inflammatory effects and probably the oldest known health drink! Just for drinking? Not at all! It can be used as everything else in this newbie article. 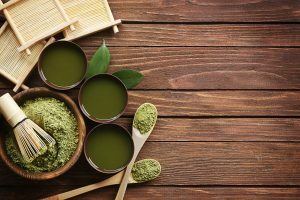 The green tea promotes hair growth, blocks a little something called in short DHT or the longer word Dihydrotestosterone which is a key cause of hair loss. It helps out with blood circulation which also means more nutrients leading to increased, well, you guessed it… lash growth. The plethora of antioxidants found in green tea promote healthy lash growth and make them longer, thicker, and stronger. Green tea is powerful antioxidant and contains B vitamins, folate, manganese, potassium, magnesium (quite good for cramps and spasms), high amount of antioxidants, enzymes, amino acids and phytochemicals like polyphenols. And all of those things in just a tea? That is one good health bomb right there! How to use the Green tea? Well, that is easy, get some green tea first and then boil. Step two-let it cools down and then, use a cotton wool and wipe gently over your lashes and let it overnight, again. It never hurts to be healthy and beautiful, right? If you have time during the day you can apply chilled green tea bag over your eye for 10-15 mins because the caffeine and flavonoids, found in it will help maintain the growth of existing lashes and stimulate new growth, too. Do this daily if you want to see a result. You have so many options to choose from and we are not even done with this article! You guessed right! Next on our list is Aloe Vera! Where would a health or beauty article go without Aloe Vera? Like, seriously, you can use it everywhere! A wonderful home remedy that you can e use for various purposes. It contains a number of nutrients, vitamins A, B-12, C, as well as E that all help with efficient cell turnover. It also contains folic acid and is well known as a moisturizer. All those lead to healthier skin, hair, health and of course longer, thicker and darker eyelashes. How to use the Aloe Vera? Don’t forget to remove makeup before applying any of the beauty hacks. We don’t want any side effects of combining the two, plus the effect won’t take place. Extract the gel from the fresh aloe plant and apply it to the lashes using a cotton swab or mascara wand. Wait for 15 minutes with it and then wash it off with warm water. Do this twice a day. You can apply the gel on the eyelids to get fresh and bright eyes, reduce puffiness and remove dark circles around the eyes. Let it stay overnight and wash off in the morning. Repeat this procedure daily to get the best result. 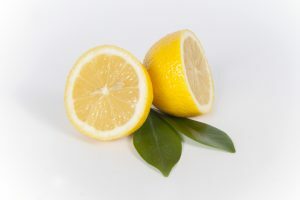 Lemon peels are rich in vitamins C and B, folic acid and other nutrients that promote the growth of eyelashes and has long been used in face masks to promote healthy skin. When infused in olive or castor oil, will help enhance the cleansing and stimulating properties of the oil. However, we don’t recommend you to use lemon directly because it can cause serious damage to your eyes. A safer option is to use lemon peel. How to use the Lemon peel extract? As we said it is dangerous to use it directly so we best recommend that you combine moderately dried lemon peel with oils like the Castor oil. Pour enough oil into a container and let it soak for a couple of weeks. When that is done, use a mascara wand to apply the oil to the lashes before bed and let it stay overnight. For best result do this daily. 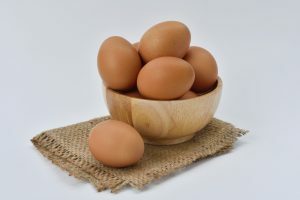 Eggs are a known superfood, that contains powerful proteins, which are great for the health of every part of your body and also contain B vitamins and biotin. It gives a nice healthy eyelash growth. How to use the eggs? Make a paste by beating one egg and combining it with one tablespoon of glycerin. Mix until a thick, creamy texture is achieved. Using a cotton swab or brush, apply this on your lashes, and leave it on for 15 minutes.Rinse off with cold water. You can also mix the egg and Olive Oil. Add a few drops of egg whites with a few drops of olive oil, apply it on the lash line and the lashes with brush or mascara. Apply before bed and wash it off in the morning. 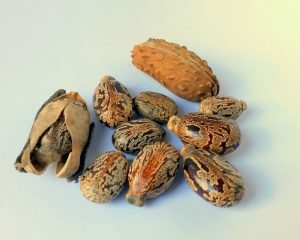 Comes from a nut and has been used in Africa for centuries to nourish skin, nails and hair. It contains vitamins A and E both of which will strengthen hair follicles and enhance eyelash growth. Shea butter contains potent moisturizing properties that can keep your eyelashes hydrated. This in turn would prevent them from drying out and falling off with time. Clean your face from any make-up, dry up and simply massage with a cotton swab over your lashes. Make sure you cover every part from tip to root. Wait for 10-15 minutes and wash your eyes with cold water. Do this at least three times a week if you want to notice a result soon enough. 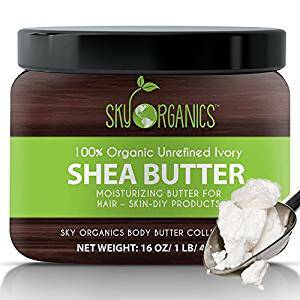 The usage of organic Shea butter for your eyelashes is highly recommended. This will be the last in our article. When we hear coconuts we imagine ourselves on a sunny beach in Hawaii drinking from the core of the nut its refreshing juice! But it is not only for that purpose. Coconut milk is super rich in fats and healthy proteins that will improve the health and growth of your beautiful lashes. 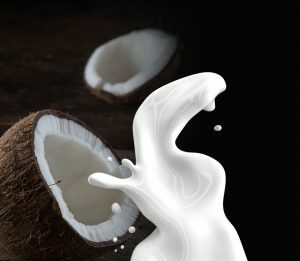 How to use the coconut milk? First, scrape half a coconut. Add a few drops of water and extract thick milk using a mixer or juicer. Soak a cotton ball in the milk and apply on the lashes. Be aware that it will dry in a few minutes. Rinse the eyes after 30 minutes. You can apply this remedy twice or thrice a week. Do not rough up your lashes. Do not rub on them too strongly or pull on them when removing your make-up. Always be gentle with the lashes. More tips for longer lashes you can find in this article! 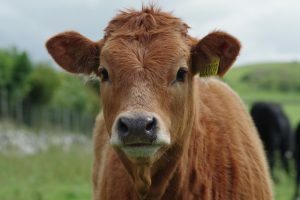 Our true aim is to have lashes as beautiful as on this calf!